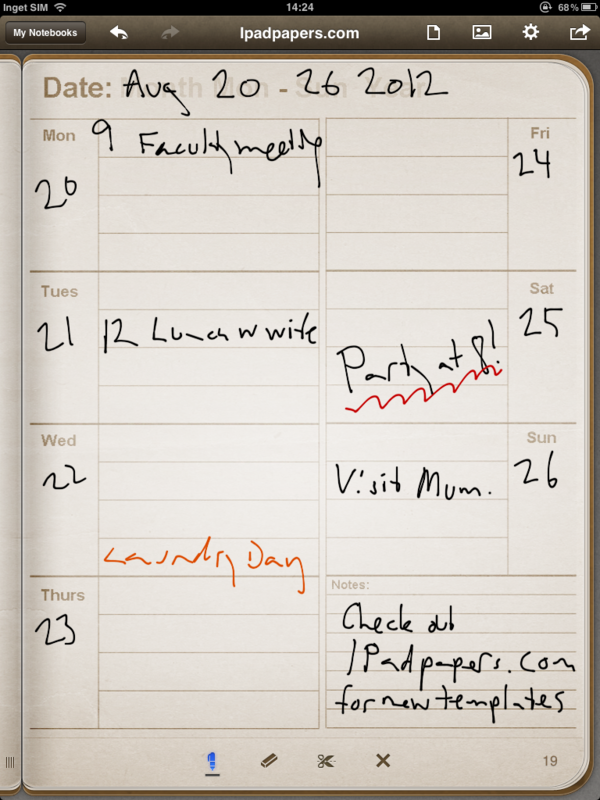 This is an iPadified version of the classic weekly calendar. 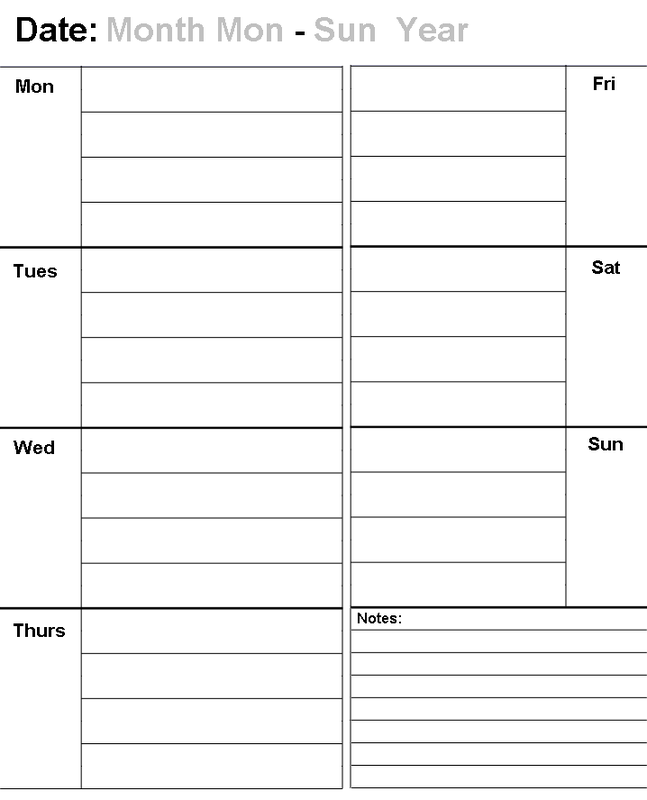 It is also compressed to one page and generalized to any week. Wide spacing for easier writing in Penultimate. 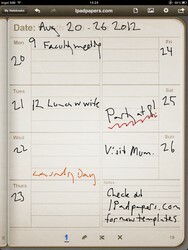 Watermark for Week/Date information and a small Notes area.